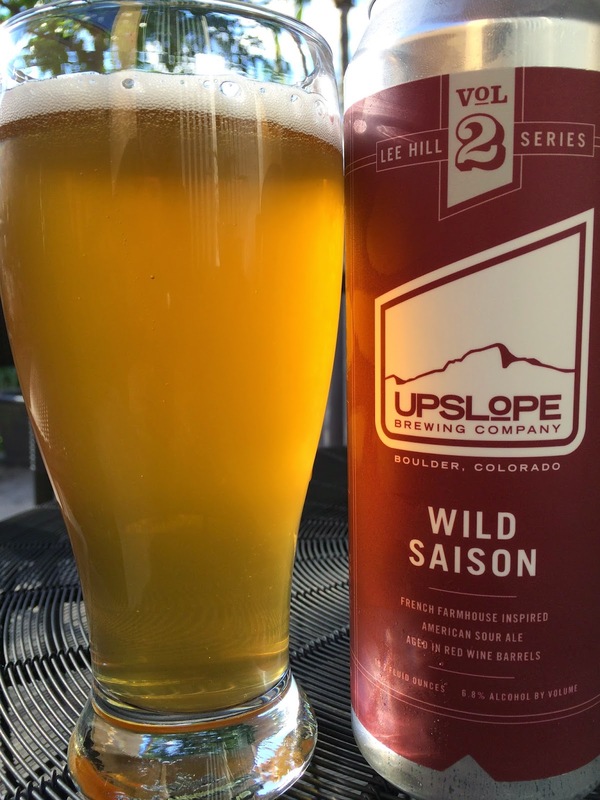 I recently acquired Upslope Brewing's Lee Hill Series Vol. 2: Wild Saison. This is the second in the quarterly-released series named after their original North Boulder brewery. That brewery is now a small-batch experimental site. Wild Saison is packaged in a 19.2 oz "bomber" can, providing ample room to tell you a little more about the beer and set your expectations. 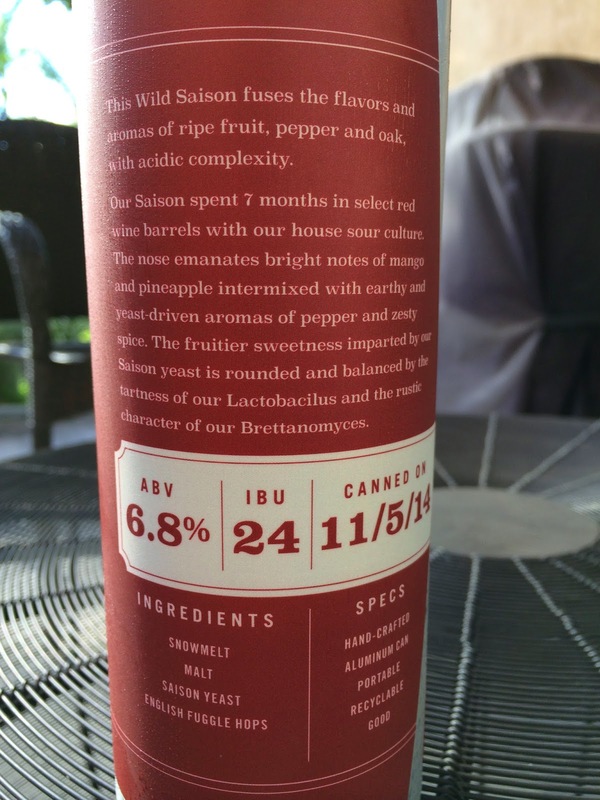 This is an American Sour Ale aged in red wine barrels for 7 months with their lacto and brett cultures. 24 IBU 6.8% alcohol. 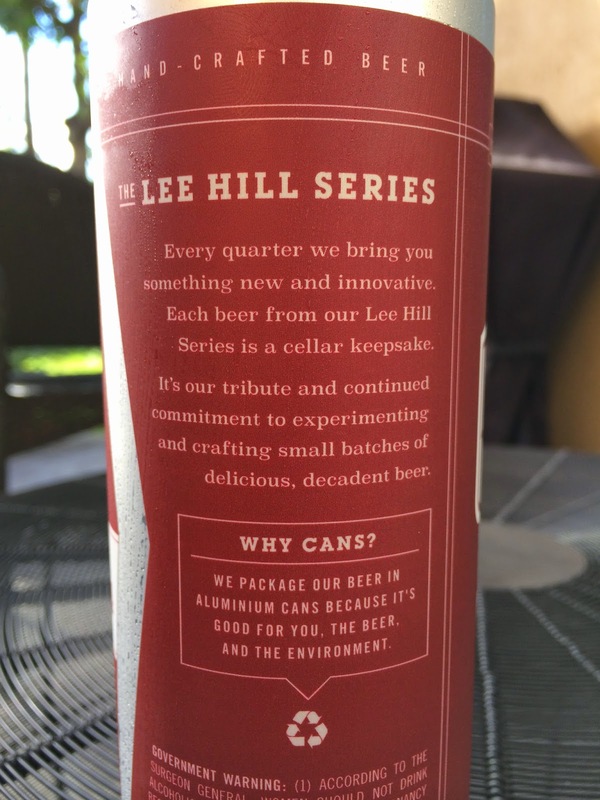 Canned on 11/5/14. Fruity aroma, sweet apples and tart lemons with a spicy, peppery background. Sweet peaches and mangoes were the first flavors to hit the palate. I was a little surprised as I was prepping myself for some sour bomb. But that was not the case. The beer is yeasty with some musty funk, and yeah, there is definitely some tartness and acidity, but don't expect a BLAMO sour whack at any time while drinking it. I love the fruity flavors and the combination of sweet versus tart next to sharp, spicy and crisp components. Lots of interesting complexities. Some woody dryness shows toward the finish, and you'll be left with light tannic wine character on the palate. I liked it! Interesting. Good contrast of competing yet complementing flavors. Check it out!